> In the PC industry we learned that there’s no real downside to quad-core as long as you can power gate individual cores, and turbo up to higher frequencies when fewer than four cores are active, there’s no real tradeoff other than cost. I'm not completely sure, because there are always other possible uses for die area. You could do the big/little thing with A7 'companion' cores, like Samsung. You could use even more area for GPU, like Apple. Wiki suggests you could double the L2 cache to 4MB (though more cache would always be eating power, even with only one core turned on). "there are always other possible uses for die area"
Def possible, and what they disclosed in this presentation would suggest they've handled it. All that's working against them, GPU-wise, is that user expectations increased since last gen, and Mali/PowerVR improved. So now T4i needs to drive 1080p phone screens and T4 needs to drive screens like the Nexus 10's, if they want to be the most bleeding-edge, anyway. And talking about die area, what is impressive about Nvidia is how their chips are always smaller. Quad-core A15 is about 80mm^2 while you can check for the sizes of Qualcomm's or Apple's chips! FWIW Apple's are not in 28nm but still they don't scale equally. Yes. The only difference is that the big.LITTLE will sport different architectures on the big and LITTLE while NV's 4+1 will have the same arch (A15 for both). Too weak? For what? Receiving notifications? 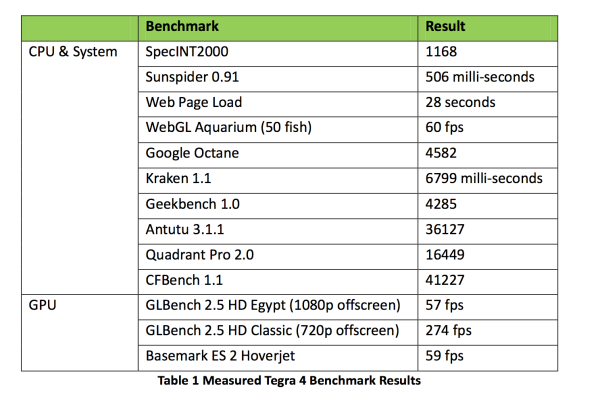 We'll see if Tegra 4 is more energy efficient than Samsung's Exynos 5 Octa later this year. Then we might get a better idea whether Nvidia or ARM's implementation is better. And I agree. 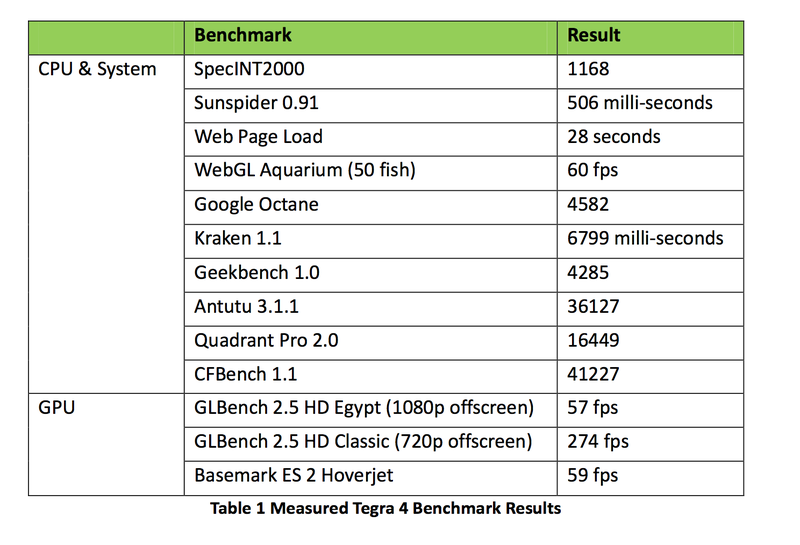 Nvidia managed to have the same graphics performance + a quad core Cortex A15 CPU in 80mm2 vs Apple with a dual core CPU and same graphics performance in 120 mm2. That's pretty impressive, even if it arrives half a year late. Sony Ericsson recently released a paper claiming this was not true, even apart from the die area issues. In particular they claimed that with current technology, coupling capacitance, ground plane issues, communication (with the L2, including coherence) and suchlike, quad-core imposed something like a 25% reduction in peak MHz possible for two cores, compared to those same two cores isolated rather than on a quad-core die.